Gooodly Morning Stampers and a very happy Sunday to you all! Thanks for so many fabby entries to last weeks challenge, it is a pleasure to hop around to all your blogs to see your grand creations. This week the theme is... STITCHES/SEWING. The theme invites you to add any kind of stitching into your creation, be it faux with stamping or doodling... or actual real stitching either by hand or machine! To join in with the challenge is simples - make a little something, it can be anything you fancy. Add in the theme and some stamping and then pop back here to leave me a comment along with a linky to the place you are showing your entry. If you haven't got a blog, you can join in via Facebook - simply tag my name, or by emailing me a small res. photo of you creation. The challenge will remain open until 21:00 Saturday 15th March 2014. This week I have been stealing time from the middle of the night! Oh ho yesh, I have sussed out that time during the night is not only "free" it also appears to be when my Mojo is in full steam and I am at my most creative. Mind you, it isn't hard to be creative when you have the right stashly goodies. Of late, I have sadly neglected my Studio 490 stash, mainly because I haven't had time to play with it all. So, during my nighttime playtimes, I have been dusting off the 490 stash and getting thoroughly covered in ink and paint. This creation is a hanging piece I made, the base is chipboard that I covered with some new Kaisercraft Papers (Timeless collection, nom!) and then I got crackling... *see what I dids there? 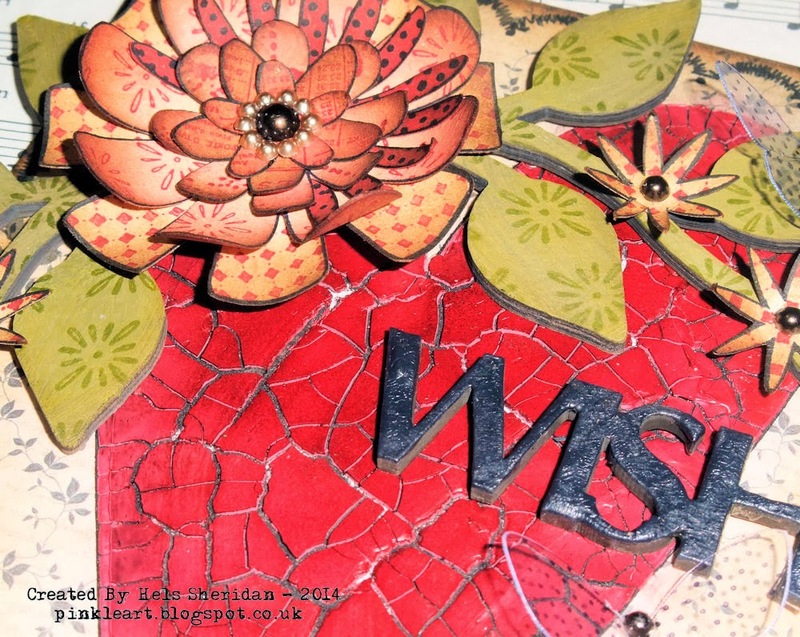 teehee* Recently, the marvel that is Wendy Vecchi added a brand new embossing texture paste to her already great range. 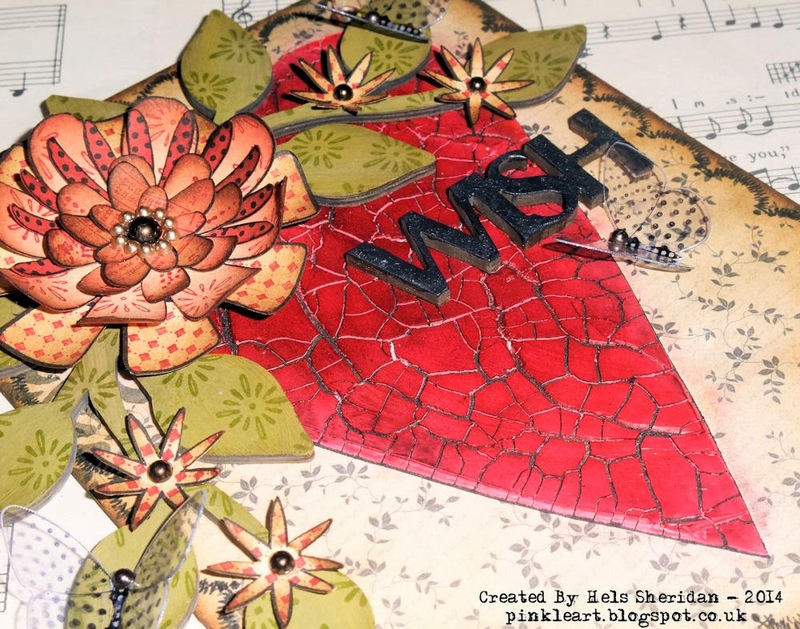 *click her name to be transported to her blog for amazing inspirations* And if you saw last Sunday's Sunday Stamper you will have already seen this fabulous Crackled Texture Paste. This time, instead of just slapping it onto the base "raw", I added a few drops of Geranium Archival Re-Inker to colour it. Ohhhhlaaaalaaaa! Check out those crackles! I started by popping the Heart Stencil For Art onto the base, smidging on a thin layer of Black Embossing Paste and once dried (super fast as it was a thin layer) I replaced the Heart over the top and spread a nice thick layer of Crackled Paste over the top. It was nice and dry and ready to use about an hour later... and whilst I loved the bright red, it was just a smidge too bright for how I wanted the piece to look. To fix this, I grabbed some Cut & Dry Foam and blended Geranium and Watering Can Archival Inks over the top... voila, a grungier effect. Now for the decorations. The base looked fine but... a bit bare. So after rummaging through my 490 stamps, I found the stitched scallop and stamped that around the edge of the base, then used Antique Linen and Gathered Twigs DI's to add a vintage look. I stamped a few flourishes in Watering Can at the top of the heart (look closely, they are there, hiding under the flowers lol) And then... ART PARTS!!! 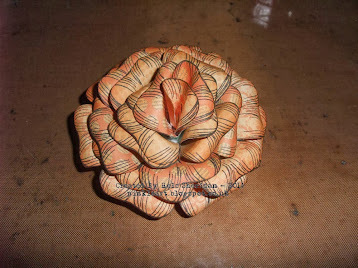 Now, I love Art Parts more than most other things in my stash! 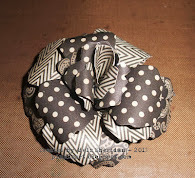 They are sturdy, easily altered and they just add that perfect amount of dimension to any creation. So, the leaves were painted with Forest Moss and Crushed Olive Distress Paints and then overstamped with a cool background using Fern Green Archival ink. The Art Part word started out saying "wishes" but I didn't want the "es" so I chopped them off, slapped a layer of Rock Candy Cracklepaint onto the word and then once crackled, applied Black Soot DP over the top... subtle crackle on top of mega crackle. And now for the decorating bit! It is no secret that I loves a nice flower bundle... in fact, the majority of the things I make have flowers on them.. and the Studio 490 stamps are just perfect for making said flower bundles. 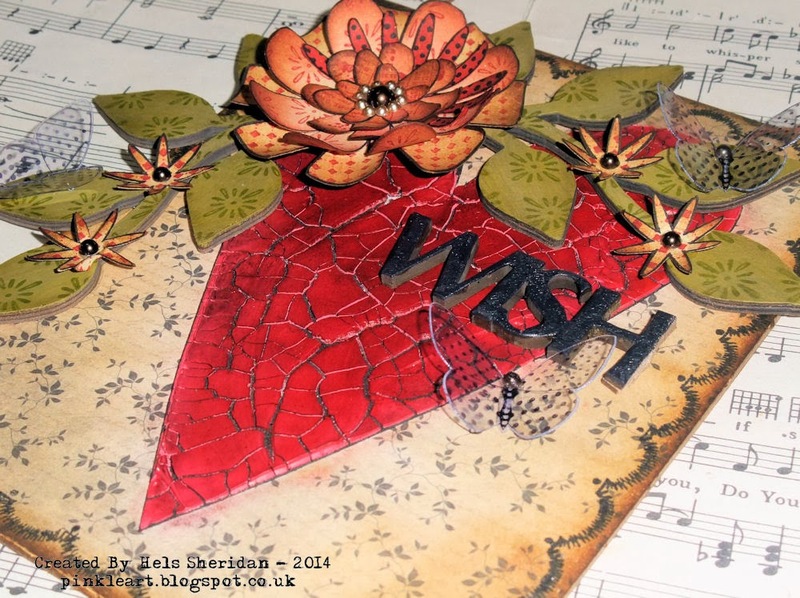 I stamped all the flowers onto cream cardstock, cut them all out and then overstamped them with Geranium Archival and lots of different background stamps - again all Studio 490. They were then inked with Antique Linen, Fired Brick and Gathered Twigs DI's. I used the mini dotty butterfly and Jet Black Archival to stamp out onto Clearly For Art. Now, Clearly For Art is one of the bestest things you can have in your crafty stash - it is a heatable modelling film that can be left clear, covered with papers, fabric, inks, die cut, stamped etc and once it is heated and moulded, it keeps its shape. And if you hate your moulding? You can reheat it and it goes back to flat again! Genius indeedily! The addage of little pearls to the flowers and butterflies was my finishing touch, I didn't want to add any more embellies as I liked the look as it is.. and I know how mental I can go with the old embellies! Hi Hels. Wow, this is gorgeous, and the little dotty butterflies are wonderful. Take care. To die for love it. Afternoon Hels just popped by to say I loved your little hanging when I saw it this morning and was so inspired by your sewing theme that I popped home, made this and then came back to leave you a look here. 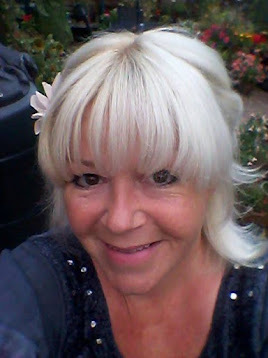 Afternoon Hels, I hope you are having a restful day. I love the heart on this hanging it really pops off the page. Beautiful papers and love the butterfly. Hi Hels, I adore this hanging, everything about it is gorgeous, I especially love the crackling and those lush butterflies, stunning !! 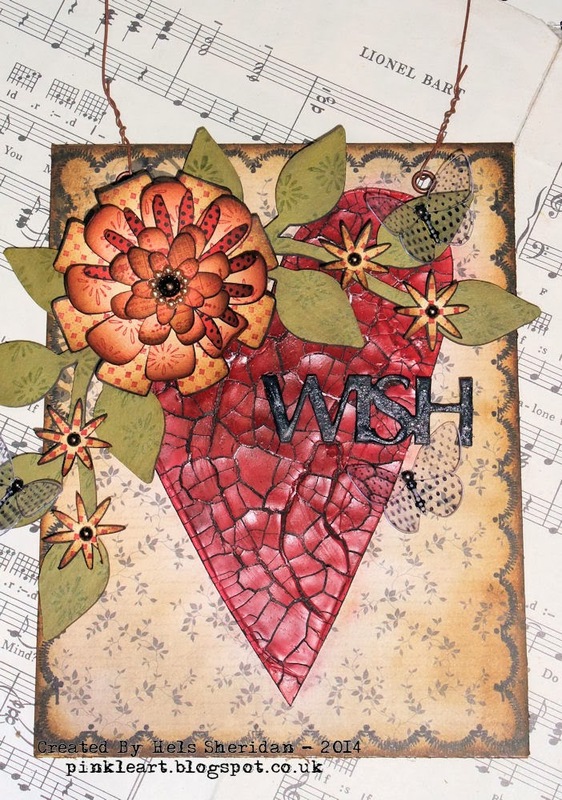 Love the rich, textural plaque you have created! This is really lovely. I'm itching to have a go at mixed media stuff. Might have to sign up to one of your workshops. That's a fantastic project with lots of different techniques. Here's my entry to your stitches challenge. 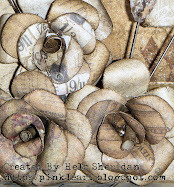 Sewing and Stitching Challange card. I love this, that crackle is amazing (always fails for me. Colours are fabulous too. OMG Line of Duty?????? !!!! Oops, now it can be read, though I might be a bit late for the challenge now. Never mind new one tomorrow!